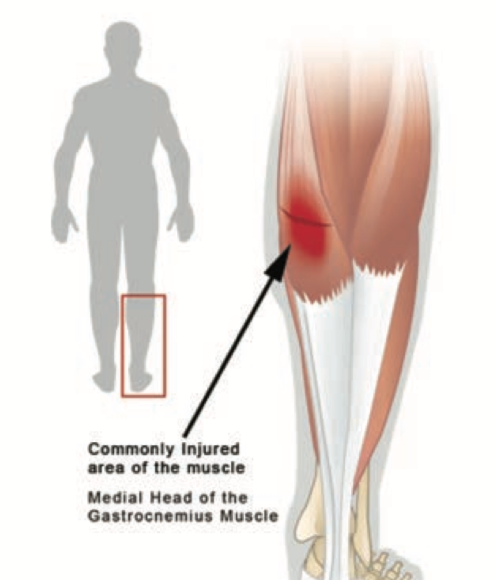 Gastrocnemius – The gastrocnemius makes up a large portion of the calf muscle. The muscle below it called the soleus completes the large muscle belly in the back of the lower leg. The muscle connects the upper leg bone just behind the knee to the Achilles tendon and then to the heel bone at the bottom of the foot. More common in men and women over the age of 35. Swelling and discoloration extend down to the ankle and heel area over a period of days. Underlying fracture of the bone must be ruled out. A thorough lower extremity history and physical examination. Ice to minimize the bleeding and swelling in the area, 20 minutes on, 40 minutes off as often as possible for the first 2-3 days. Never put ice directly on the skin. Put on a sock. Anti-inflammatory medication may benefit in reducing the amount of inflammation. Utilization of crutches for 7-10 days if weight bearing is difficult. Physical therapy is usually done after the first few days. Ultrasound, electrical stimulation may help to diminish the amount of swelling and limit the muscle damage. Range of motion exercises for the first few days followed by a guarded strengthening program. Over a period of time strengthening consists of both concentric (muscle shortening) and eccentric (muscle lengthening) exercises to promote full strength. Return to sports in most cases in 6 weeks. Too early of a return risks reinjury. Prognosis for these injuries is excellent. 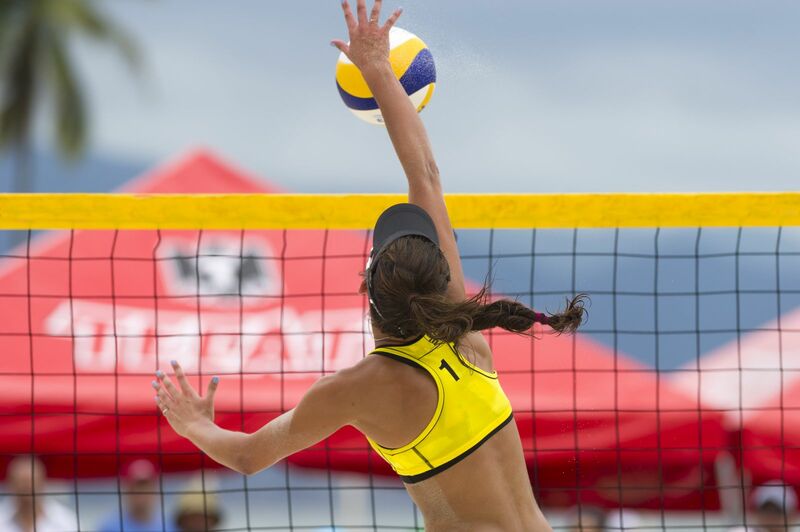 They never need to be corrected surgically, even in a collegiate or professional athlete. Once the muscle tears, scar tissue usually develops in the muscle torn region causing some thickening to the area. 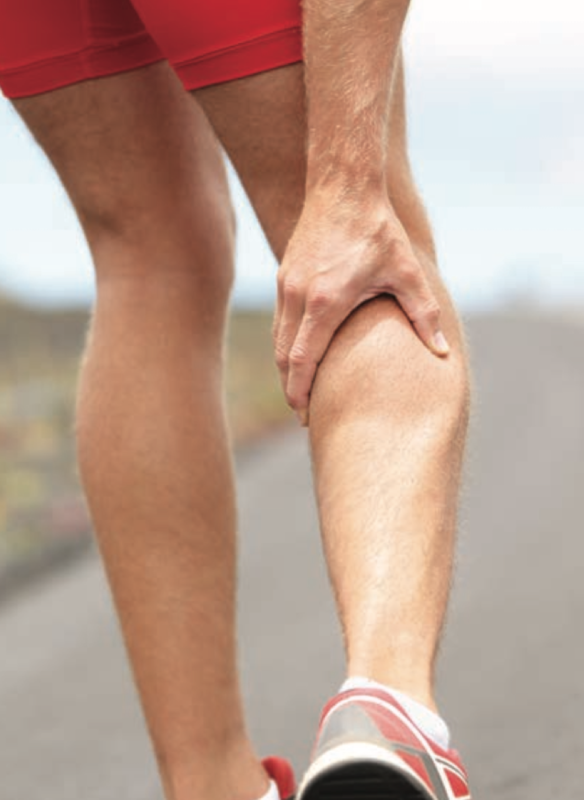 Recovery of muscle strength is usually present if the muscle has been mobilized shortly after the injury. 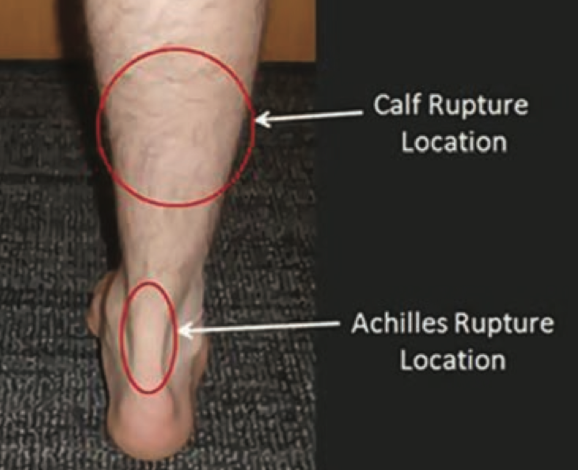 A slight deformity also develops in the calf muscle when comparing it to the unaffected side. Full return to all sports is expected.